Following that vein, the vision of peasant families has been to have land. In the 1970s in Honduras (Azomada, Lempira), the peasants saw idle land taken away from their ancestors and recognizing that fire that came from their grandparents to “recover a piece of land to produce on it”, took those lands as thousands of peasants have done on the face of the earth. 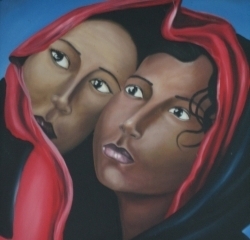 In 1985 when the war was raging in Nicaragua, the State moved 74 indigenous families from Cusmapa and San Lucas to Samarcanda (San Juan del Rio Coco), organized them into cooperatives to confront the Nicaraguan Resistance, as had happened in so many places in the country; one of the leaders, Claudio Hernández recalls, “to get land with coffee we risked our lives, and we accepted being treated as fieldhands and soldiers”; the paradox was that many of those involved in the Nicaraguan Resistance also were fighting for land. Being a farmer is more than having land. In Nicaragua Marchetti and Maldidier (1996, El campesino-Finquero y el Potencial Económico del Campesinado Nicaraguense) detected that peasant vision: “I dream of that day in which my friends visit me and say, what a beautiful farm you have!” The land would not just be a plot with annual crops on it, but a diversified farm with permanent crops. 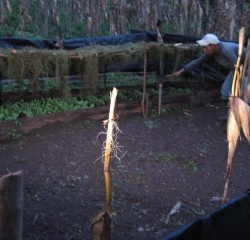 In Honduras, Carlos Cantoral from Terreritos (Nueva Frontera) in the 2000s, sketched out what food sovereignty and peasant autonomy is, echoing our ancestors thousands of years ago:”being a peasant is producing what my family eats, without depending on anyone” – without a debt with the usurer, without giving in to the intermediary, and without lowering your head in the presence of the politician and religious leader. And again in Honduras Porfirio Hernández de Trascerros (Nueva Frontera) in 2018 describes those who lose that vision: “even having cattle they walk around money in hand looking for their corn grinder,” unfortunate is that family that does not first ensure their food. These are the families that resist being a clone of mono-cropping, families that grow their corn and produce their food on more and more diversified farms, which gives them the freedom to generate their own thinking and experiments. Being a farmer and processing what is produced to ensure food “in green and mature times” has been a vision for thousands of years. Humanity learned to dry meat under the sun in its era of hunting and gathering, and in the years of 3000 BC made bread, and the Incas stored potatoes as starch, exposing potatoes to the sun during the day and to the cold at night. In this vein we find the peasantry of the XVII and XVIII centuries envisioning agro industrializing raw material in their communities. That vision, in spite of being squashed by capitalist industry and later by the socialism of Preobrazhensky and Stalin, persisted within Europe itself. That is why there are around 1100 flavors (brands) of beer in Belgium today, or vineyards and wine in Trentino, Italy. And it persists in Latin America. 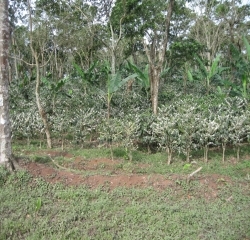 In Honduras in 2008 (Laguna de La Capa, Yoro), in the face of the “vocation” of the agricultural frontier to receive a peasantry whose grandchildren migrated with sugar cane and sugar mills defeated by the slavish rule that “only the rich make sugar”, the COMAL Network and peasant families started to process granulated sugar in the community itself. Cirilo George from the APROCATY Associative Enterprise put that fire into words, “we will not go back”, referring to the fact that individually they fell with their sugar cane into that destiny and that slavish rule, but organizing themselves, they made that vision of agro-industrialization palpable, as the Manduvirá Cooperative of Paraguay has done. Having land, being a farmer, processing food…and selling! What a chain of visions! Even though the peasantry sees itself at odds with commerce, their aspirations include commercializing in order to cooperate. Within this perspective, in Honduras (Encinos, Intibucá) in the midst of intimidating polices under the Alliance for Progress of the 1960s and 1970s, women and men who would walk for days through mud to buy what they were not producing, envisioned “bringing in a store managed by us the Lenca peasant ourselves, right here.” That community, like the members of the La Unión Store (Taulabé, Honduras), Maquita Cosunchej of Ecuador, or the Hope of the Peasants Cooperative in Panama, overcame the old rule that “peasants and indigenous are no good at selling, only at planting.” Maybe individually it is difficult for a peasant family to sell, they say that it is a “betrayal of a promise” (buying oneself in order to later sell), but organized, it is another story, because “the market is really relationships of people coming together, getting to know one another and trusting one another”– Peter Druckers would say to Peter Schwartz (1996, The Art of the Long View). In the 1990s again in Honduras a dozen leaders of several organizations, among them Auristela Argueta, saw a vision that continues to light up deep Mesoamerica: “we now have land, we are producing our food and something more, a market for selling and exchanging our products.” That aspiration that markets can connect organized people to one another, was the seed that gave rise to the Comal Network of Honduras. These visions, far from the current ones that businesses tend to express to generate capital or the blueprint of organizations to find donations and “to put a patch on the problem”, move human determination through time and are like flames that do not go out, in search of a greater good. What distinguishes them? They are born out of crises, when that which should die, does not, and what should sprout, does not, as A. Einstein used to say: “creativity is born from anguish as day from night.” Adversity is overcome by “swimming against the current” and connecting oneself with centennial and millennial human aspirations that, like tectonic plates, shake even the most solid land, like that outrageous belief that a divine being or the market writes your destiny. They are understood by people discontent with the status quo, that question their worlds, see other possible realities, expand their mental horizons and really believe in their capacity to create the future because they experience it daily. They are shared visions that emerge from personal visions, and not from adhering to visions prepared by managers or consultants; they derive their energy and commitment precisely from the fact that they come from personal visions. These shared visions reorder life. If your vision is that your family eats what you produce, that makes you reorder your farm, the work of your family and your relationships with your neighbors, and if that vision is shared by other people of an organization, this reorients the organization toward that vision. They are concrete visions, here and now, visions that make them encounter the stranger and discover themselves. They are visions that cause changes day to day, brick to brick, seed after seed, the drop of water that breaks stone. In the face of these visions of future frameworks that we want to create, the challenge for peasant and indigenous organizations is to encourage their members to express their visions, understand them, and embody them in agreements and new rules to support the peasantry, the basis for food and assurance of environmental sustainability for humanity. For that purpose, the more an organization opens itself to learning, the more it tunes its ear to hear the visions, the more it takes out a pencil to take notes and ruminate on them, the more it reinvents itself, breaking rules like “the older one gets, the less one changes”, “the more one studies, the more one forgets about where they came from”, and “the more power one gets, the more farther they get from the people”. A peasantry that organizes itself and awakens to the fact that they can create their future, is more connected to the vision of Jesus, feels more the vision of the gladiators/slaves, seeks to have more democratic assemblies, aspires more the path of non-violence, makes agriculture an art, and weaves more of their own thinking. Shared visions, in the midst of the tensions and adversities of all times, move human mountains and help us to be generators of long term changes that started just yesterday. Let the wind blow and carry you where it will. Bible saying. “Our problem, says A. Argueta, from the COMAL network (Honduras), is that our offspring do not want to know about agriculture; many times in a family of 7 only two are working, Mom and Dad.” R. Villegas, also from the COMAL network, says, “when they are little our children help us in the work, but once grown up, returning from their studies they do the numbers on our crops, and they tell us that planting corn and beans no longer works, and they tell us it is better to sell the land.” What Argueta and Villegas tell us we hear in every country in Latin America. If this situation intensifies, it will affect world food production. Because it depends in good measure on family agriculture, which, according to ECLAC, FAO and IICA (2014, Prospects for Agriculture and Rural Development in the Americas) represent more than 75% of total production units in nearly every country of Latin America. The organization of that peasant economy, according to A. Chayanov (1925, The Organization of the Peasant Economic Unit) is based on family labor to meet their needs. From that situation, to now where youth are increasingly disenchanted with farm work, means that the peasant economy is growing old and the depopulation the rural sector is increasing. There are structural conditions that are conducive to this disenchantment. The first refers to the current generation of parents and children. In Europe they talk about the “neither-nor” youth; they neither study nor work. Bauman (2014, Does the Wealth of the Few Benefit Everyone? ), studying the inequality, observes that the generations after the second world war, supported by redistribution policies, looked forward in order to improve; while today the “neither-nors” are the first generation that are not managing the achievements of their parents as the beginning of their career, that instead are asking what their parents did to improve, and that in this way these youth are not looking forward, but back. Some years ago in rural Latin America, parents would receive their inheritance and would go into the forest to expand their area in order to, later on, leave it to their children, and they to theirs. The inheritance was the starting point for each generation. But now the agricultural frontier has reached its limits, and there is almost no more forest to go into. So, on the one hand, the parents are not expanding their areas to leave behind, nor did they have time to inculcate their farming culture on their children, because they passed their childhood, adolescence and part of their youth studying; and on the other hand, this growing group of youth did not find work in their majors, nor did they like their parents farming, and in the case that they did, it is common to hear their laments; “Dad says that as long as he is alive I cannot raise different crops on his land”, “they do not want to leave me my inheritance because they say that ‘the pig sheds its lard only after it dies’”. The second condition refers to the knowledge perspective acquired by the youth. There is a boom of youth studying; in 2015, according to the UNESCO report, 98% of the youth of Latin America were studying. Going back to where their parents are, many of them do economic calculations and conclude that what their parents are growing it not profitable (see Table for corn; calculations for beans are more generous, $400/mz costs and $1200/mz income). This acquired knowledge, nevertheless, underlies a perspective contrary to the peasant economy: they take crops as a comodity isolated from the production system where it grows, and outside the logic of the family that produces it. These assumptions are in line with the perspective of big enterprise: monocropping, betting on volume based on intensive and mechanized technology, and the maximization of financial earnings. The third condition refers to the growing gap between parents and their children. The children are caught between the love for their parents and their belief that “I did not study to go back to the fields” – by “fields” they assume backwardness. The parents feel impotent in not being able to explain their “agricultural profitability” showing their production systems and their social and economic life, surprised they recall when they encouraged their children to study, telling them that “a shovel weighs more than a pen”, and get frustrated in not being able to direct their children to the future, even worse not knowing the digital technology in which the youth move. These facts make the gap that separates them even greater, the parents grow old and the youth are at risk of falling into that old expression of “the idle mind is the devil´s workshop” in a Central America that finds it difficult to free itself from violence. The fourth condition refers to rural organizations. It is common to run into peasant associations, stores, banks and cooperatives whose members´average age is 50. If life expectancy in the Central American countries is around 73 years of age, the paradox is that the organizations are aging while they close themselves to the youth. A mother who returned to dedicate herself to her family, after 8 years in an organization, said, “if I would have continued as a leader, I would have lost my son, because he was already on a bad path.” The logical thing would be that the family life of those who are organized would improve, but that mother says that it did not. Others look for people to blame: “the governments hassle the organizations with taxes and repressive measures, businesses hassle them through their harvest collectors or intermediaries, and aid organizations keep them busy with projects.” It could be. But the chasm between the organizations and the youth is deep. Why do they take such great pains with corn and beans? What is it that we do not understand about them? Full of millennial patience, the peasant families husk the ear of corn for us. “We plant corn, beans, chicory…because we learned it from our parents to feed our families, not to make a lot of money.” Looking at me skeptically, they continue on: ”by planting corn we eat tamales, atol, corn on the cob, baby corn, new corn tortillas, would we be able to eat all this if we quit planting corn?”, “the protein from a recently harvested corn cob is not comparable to that anemic imported corn”, “with beans we eat green beans, bean soup, cooked beans…” We understand that corn is more than tortillas, and beans are more than bean paste. “When we have corn and beans it makes us feel relieved, so we look for plantains, eggs…we go from serving to serving.” And then, “the beans that we are not going to eat we sell, likewise with the other products, in order to buy other needs and pay for the studies of our children.” And the profitability? With weatherbeaten skin and a cold stare, they explained to us. “If we don´t plant corn, we would have to buy tortillas; we are 6 in the family and we would need 30 tortillas for each meal, that is L15; if I plant we eat 20 tortillas because the tortillas we make are thick.” Time to do the numbers: 1) 20 tortillas come from 1 lb, 3 lbs per day, 90 lbs per month, in other words 10.8qq per year, the remaining 13.2qq are for seed, chickens and pigs, from which we get between 6-10 eggs each day and 2 piglets every 6 months; 2) not planting corn, a family of six people needs L16,425 ($714) to buy tortillas in the year, another amount for atol, eggs and pork. In other words, the Table does not show that the corn is linked to small livestock, does not count the corncobs, little corn, new corn tortillas…If the peasant families subjected themselves to the “profitability calculations” of the large enterprises, they would have to go into debt, sell their land, and become farm workers to buy corn in times of scarcity at double the price or buy 90 tortillas/day at $1.90. “They say that it does not work, but it does”- the roar of the wind is heard. The peasant cornfield includes basic grains, root plants, bananas, trees, chicory, poultry, pigs, water… Is it time to change the direction of our “sails”? Observing, listening and dialoguing can happen in the family, particularly if their organizations help. The Colega of Colombia cooperative shows us the way. Their members are milk ranchers and the cooperative collects and sells the milk. “We are second in world productivity, behind New Zealand,” they state. This cooperative organizes the children of the members into two groups; the little Colleagues are those under 14, and the pre-Colleagues are between 14-18 years of age. Each little Colleague is given one calf to take care of, the cooperative gives milk to the child as a provision for the calf, and the family of the child provides the inputs for raising the calf; in school they include courses on cooperation and the cooperative invites the little Colleagues to their events; so, from an early age they are cultivating the “member-rancher of the future.” The pre-Colleagues, who were able to take care of and multiply their calves, are provided scholarships for their studies, and member benefits, because they already participate in the production processes like their parents. Youth are joining the Fe y Esperanza Rural Bank of Palmichal in the COMAL network, encouraged by their families. “My stepfather insisted that I attend the meetings, I thought that this was about old guys who do not change, then I realized that here you learn to improve.” “My grandfather is trustworthy, he told me to join the Bank because one day it would work for me, I paid attention to him, and it is true, now it is working for me.” In a few years this organization is growing in savings and loans, has efficient administration and its organs (board of directors, oversight board and assembly) meet each second Saturday of each month to discuss their numbers and opportunities. Another organization, the 15th of July (a community in Corozo, Yoro) also from the COMAL network, recognized the capacity of a young woman (D. López) who has finished her Certificate Program, and named her as President, and that organization got itself up to date with its internal and external paperwork, and finished its factory for processing granulated sugar. PhD in development studies, associate researcher of the IOB-University of Antwerp (Belgium), collaborator of the Winds of Peace Foundation (http://peacewinds.org/research/) and member of the COSERPROSS Cooperative. rmvidaurre@gmail.com. 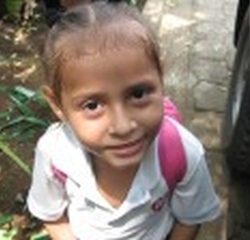 I spent the week in Nicaragua last week, visiting partners and participating in a cooperative workshop. It’s a process that has become familiar to me over the past dozen years, but it is never the same. Every cooperative, every member, has a story to tell, and each is very different from the other. Some stories are sad. Some are uplifting. Some are absolutely energizing in the sheer power of their message. Such is the case of COMUSAN, the women’s communal bank cooperative in the remote village of Santa Ana. The route to Santa Ana and our meeting is slow and difficult, even for a 4-wheel drive vehicle; the trail is little more than a wide path. The surroundings are breathtaking, with the mountains and valleys contrasting each other. At one plateau sits a tiny pre-school house, wherein the women of COMUSAN await our arrival. They have come from all over the territory to attend this meeting of exposition, pride and gratitude. The cooperative has been guided into existence through the patience and determination of the women and ANIDES, the Nicaraguan Association for Sustainable Development. Two members of ANIDES are present, but the show belongs to the women. and growing, as the members take small and certain steps to ensure the strengthening of their bank- and the cooperative which now envelops it- for the future. The women are understandably shy about speaking up; they don’t have many visitors here and perhaps they are overly-modest about what they have accomplished and how they feel about it. Asking for support is a humbling experience all by itself. But the presence of the 27 women, many of whom have walked a great distance to attend the meeting, is a testament to both their pride and determination to make this entity succeed, for themselves and their families. There is a determination here, a sense that the women of COMUSAN will make this initiative work, regardless of the obstacles they may face. They are deliberate. They seek to understand the processes of their cooperative. Members of both the coop and ANIDES plan to attend the cooperative workshop to be held later in the week. A visitor can feel both the inexperience and the intensity of a collaborative effort to succeed. Indeed, one “dream” expressed during the visit is that this cooperative not only succeed unto itself, but that it might become known internationally. Ambitious visions for a rural women’s cooperative? Perhaps. But then, all great success stories start with an unlikely dream…. ANIDES is an organization with whom Winds of Peace has partnered for the past several years. It’s a group devoted to lifting up women, helping them to understand and embrace their rights and to explore their capacities as the critical players in strengthening their families and Nicaraguan society. ANIDES has not only helped with basic living amenities for its women and their families across 34 communities, but has also assisted in the formation of communal banks in outlying villages. The banks have created access to economic resources, but more importantly have helped to teach finance, cooperative responsibility and the dignity to be discovered in effectively managing such a collaborative endeavor. For some five years we proposed to deal with this challenge in a joint way with the women, using tools for knowledge management, so that they might learn some of their good and bad practices, improving their self esteem, and the importance that the roles that each one performs have for making their organization stronger, working on the recognition of different leaderships that each one exercises within their organization. For us the application of methodological tools seem important (Results Oriented Management), for their recognition as human beings and through them that they might recognize their skills, abilities and capacities. Likewise that they might recognize the medium in which they can “exploit” or apply those skills. These tools help to recognize what I am now, what I want, a balance in life, the personal values and how through learning to build their path toward the personal and organizational vision. These tools not only help the growth and personal development, but also the organization, all the members working together to recognize themselves not only as individuals but as organization, the construction of this path toward the vision from the systemic approach helps them to take more ownership over the organization and to work, putting into practice solidarity as a fundamental principle of cooperativism. We know that putting this into practice, or the implementation of a good attitude toward the members, is a long and steep path that we need to walk. In these years the members have shown an openness to change and are involved in the processes, more and more in a conscious manner. … So we have grown together little by little, we started with 15 very fearful women that would arrive at the workshops in the company of their husbands or sons; now we have grown in number and active participation; maybe we needed to not move too quickly through stages, so that everyone might participate at the same level…. The communal banks have been the space for learning to set the foundation for the development of trust among the members, strengthening their self esteem, formation and skill development. Making a sieve in order to create cooperatives with the members that show better strengths, identifying and strengthening the common elements of institutionality (system of values held in common for governance). We see that the role of ANIDES is still very important for STRENGTHENING THE INTERNAL SELF MANAGEMENT CAPACITY of the incipient cooperative organizations. Through accompaniment processes so that they themselves might facilitate them with knowledge acquired in previous processes, GUIDING the comprehension of INSTRUMENTS FOR COLLECTIVE ENTREPRENEURIAL GOOD GOVERNANCE (these documents already exist for each cooperative) in this new stage we will teach their leaders to use and apply them. Precisely through this we think that strengthening a promoter group of leaders, we will expedite (in a cascading manner) the training process of the different cooperative organizations from within, being accompanied by ANIDES, so that the grassroots cooperatives might be able to continue strengthening themselves FROM THE IDENTIFICATION OF THEIR OWN STRENGTHS AND COMMON IDENTITIES, (like what you call the institution, that has to do with their roots, values and common commitments as women who are living in similar circumstances, learning to get ahead with their families in the midst of adversities). Thanks for your multiple perspectives and contributions to continue going more in depth to make a different in the cooperative organizations, which is the strong commitment of ANIDES. This memorandum is a complete and focused organization development roadmap, as holistic, sophisticated and ambitious as any strategic document I’ve encountered. Its focus includes the health and strength of the organization, its current and future leadership, the well-being of the individual members, a sensitivity to collaborative realities, courage to take on enormous difficulties and a vision which exceeds the boundaries of sight. It’s a document of hope and expectation, and one that any U.S. business organization would be challenged to achieve and proud to own. When people occasionally ask me whether there is good news in Nicaragua, whether there is cause for optimism for the future, I will use the words above to state the unequivocal answer, yes….